Many different magical traditions call for the use of salt in spells and ritual. For centuries, it’s been known as a very magical – and also very valuable – ingredient. But why is salt such a magical item? 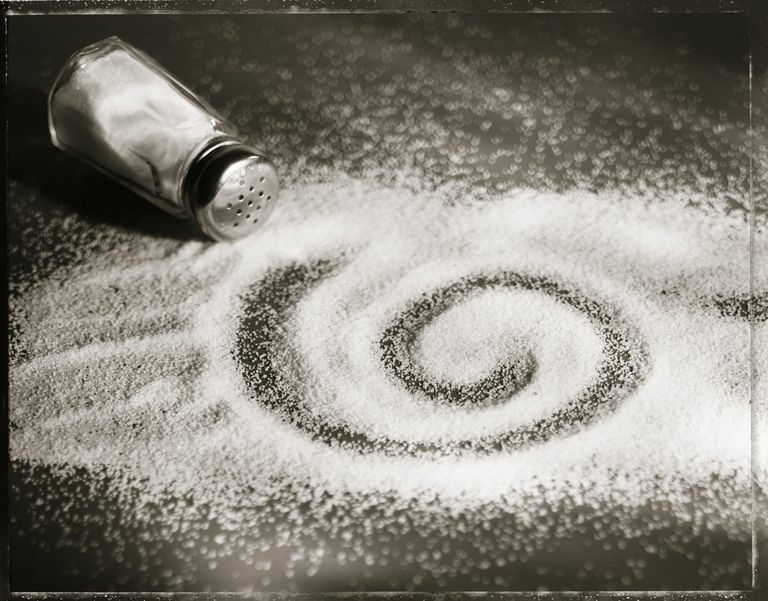 Let’s look at some of the history behind the use of salt in magic, and some of the ways it’s commonly used in folklore and legend. Mark Kurlansky’s book ​"Salt: A World History" ​does a great job of summarizing how salt became as widely used as it is. Salt was actually pretty important in the grand scheme of human civilization. In the early days of mankind—or at least the days prior to industrialization—the process of harvesting salt was time-consuming and labor intensive. This meant that salt was a pretty valuable commodity, and only rich people could afford it. The Romans actually paid their soldiers with salt, because it was so important for things like food preservation. In fact, the word “salary” has its root in the Latin word for salt. So, in addition to being a pretty important – and pricey – bit of the material aspects of human living, salt began to find its way into the metaphysical and spiritual realm. It appears several times in the Old Testament, most notably in the book of Genesis, in which Lot’s wife (who doesn’t appear to have a name of her own) is turned into a pillar of salt after disobeying God’s commands. In many Eastern belief systems, such as Buddhism and Shintoism, salt is used both as a purifier and to repel evil. Folklorist Robert Means Lawrence, in his 1898 book​ "The Magic of the Horseshoe," looks at some of the ways salt is used in folk magic around the globe. In parts of Germany, Normandy, and Scotland, salt is used in or around a butter churn to keep witches from souring the butter or harming the cow from which the cream was obtained. Irish folk remedies include the use of salt, combined with a recitation of the Lord’s Prayer, to cure those who might have been “fairy-struck.” A similar story comes from Bavaria and Ukraine, in which salt is used to determine if a child is bewitched. Egyptian caravans setting out on a journey across the desert used to perform a ritual that involved burning salt on hot coals. This was done to ensure that evil spirits wouldn’t get in the way of the travelers. Often, salt is used in purification spells. It can be incorporated into smudging and asperging, and in some NeoWiccan traditions, it is used on the altar to represent the element of earth. It should be noted that some groups associate salt with water, because of its origins in the sea. Black salt, which is a blend of regular salt and other ingredients, is used in protection magic in some traditions. Salt has maintained its usefulness in modern folk magic traditions as well. Vance Randolph writes in ​"Ozark Magic and Folklore" of a number of mountain beliefs regarding the use of salt. If someone spills the salt at dinner, it means a violent family quarrel is on the way. It’s considered bad luck to lend salt to someone because that can lead to a feud between the borrower and the lender. A good way to avoid this problem is if you get a cup of salt from someone, pay it back with sugar or molasses instead. Interestingly, in parts of northern England and Scotland, it is also seen as bad luck to lend salt, mostly because the person borrowing it can use it as a magical link to curse you. Salt can also be used to detect the presence of witches: in the Ozarks, it is believed that witches don’t eat much salt, so if someone complains about food being too salty, she might be regarded with suspicion. There is also a tale that bewitched cattle will not touch salt. Many areas include salt as part of local superstition - perhaps the best-known bit of advice is that if you spill salt, you should throw a bit of it over your shoulder. This either brings good luck or keeps evil at bay, depending on which source you consult. Make a Witch Bottle: Salt can be used as an ingredient in a witch bottle for protection. Offerings to the Gods: Salt is sometimes left as an offering to a deity. House Cleansing Ceremony: Use salt as part of a seasonal metaphysical cleansing. Perform a Self Dedication Ritual: Incorporate salt into rituals and ceremonies.